A lecturer at David Livingston College of Education has been arrested after being caught stealing from Shorpite. Mrs Chamalenge a lecturer at the college is currently detained by police in Livingstone after she tried to steal goods worth about K3, 500. 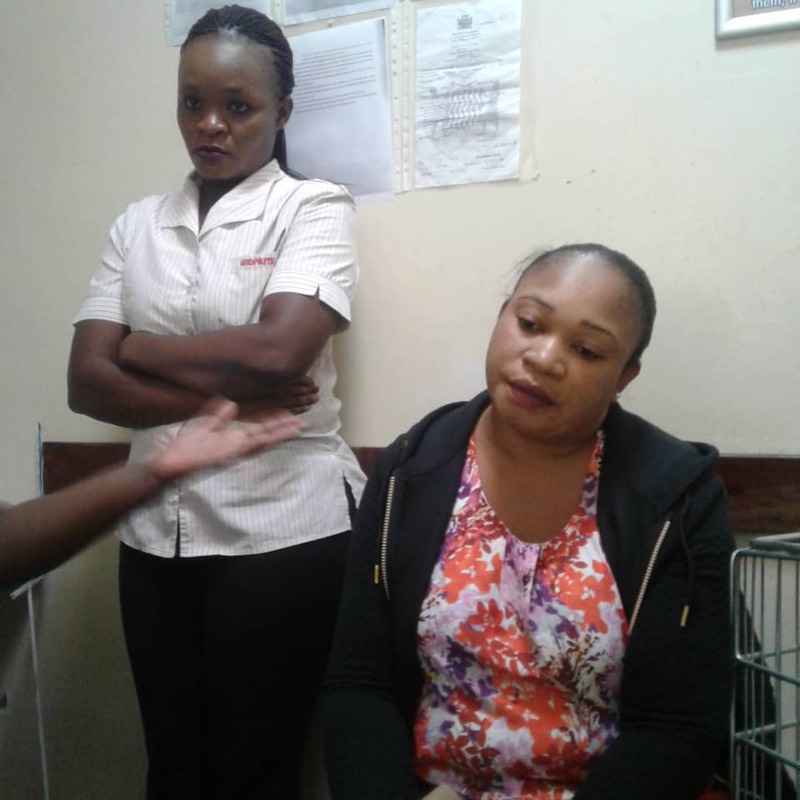 It is believed that lecturer Chamalenge connived with a Shoprite teller to only punch in K300 for all the merchandise worthy more than K3500. But when she left the till, those who had been observing the robbery confronted her and her accomplice teller. According to people close to the case, she has been doing this at various supermarkets but yesterday she ran out of luck at Mosi O Tunya Shoprite. I just fail to understand what kind of journalism this is where a suspects picture is posted in the media with insinuating reasoning by the reporter! Even management of where the incident supposedly occurred lack tact in handling suspects. The best management should have done is to accord protection of the lady lecturer from the media and public court and to let the right authorities take charge! The lady can possibly sue both the shop management and photographer for the embarrassment caused on her person through bungled infringement on her rights before being arraigned in in court! If we all steel where would we come to. Are we not a Christian nation? The lawlessness in this country of ours should stop. Where is our pride? Where is our dignity? If we work hard and together and fight against theft, corruption and injustice we will make Zambia a better place. I like your faith in the so called Zambian nations. However as far as i am concerned Zambia is a country destined for doom because it was founded on deceit. I indeed agree with Musumali. The nation of Zambia should repent for its deceit by giving Lozis an opportunity to agree to join the country called Zambia through a referendum. This is the most civilized way of addressing the matter. In a country like Zambia where public stealing is allowed, this is not regarded as theft but a deal that has gone bad. She must be set free on grounds hat at one time even the president condoned such acts. Is it not what he called ubomba mwibala. We call ourself christians,but we don’t do what christians do.Please help her? Give Caesar what belongs to him but if the giving inconveniences you (i.e it makes you break the Lord’s Law) then do not give him. why steal when the going gets tough? Cry to God! He rescues once and for all! Although forgiving her is a good option because of the assumption that she is a victim of the bad economic climate that has engulfed our country, she should know that the law is blind to such excuses. May be ‘State House’ should intervene before the lecturer is embarrassed beyond redemption. Forgive her but she need counseling. P.K.Chishala once lamented that: Insala nga ya chilamo ilaleta umusebanya!!! just leave her. others still more than that. after law its out of hunger that she has thought of that tactic to feed the family. Scout on 405FEA75-6A98-470B-928B-E23D7B04FF79Why police officers nowerdays have unhabit of killing themself? Government should make aresech.